Congratulations to Pauline Taylor on being awarded her blazer badge by the England Short Mat Association. Pauline is a registered member of Harpenden Bowling Club but practises her Short Mat at Greenwood, Chiswell Green. Pauline recently travelled to Belgium to represent England in what is thought to be the first overseas international played. ​She was on a winning rink, England won the match. They put up a valiant show but failed to progress from the round robin stage. Despite this, the visit gave the team a unique chance to savour the atmosphere and mix with other players from around the country. 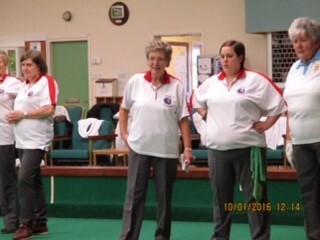 ​Pauline Taylor playing in her first 'official' England Short Mat game recently against Cambrideshire County Ladies, playing at three in the Fours and winning all three games played. Well done! The Triples and Singles competitions will be played in December & January. 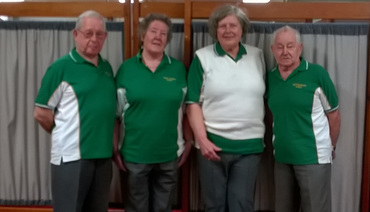 All winners and runners-up will play in the Nationals to be held at Church Gresley Indoor Bowling Club in April 2016.